In the HOWTO posted above, this can be resolved by updating the CID and ParentCID fields inside of the plain text .VMDK configuration file for the VM. Unfortunately that doesn’t apply to VMware workstation because this “descriptor” / configuration data is stored in the same file as the “-flat” disk making it impossible to edit with a plaintext editor such as notepad. Instead we need to use a Hex Editor. Don’t worry, this is much simpler than it sounds. Edit your parent disk and make note of the hex value of the CID field. It should be an 8 character field. That’s it, the VM should now boot successfully. Note that in my situation, I found that the VM booted successfully but Windows complained that no boot device was found. I then booted off the Windows installation media and choose “Repair My Computer”. It detected the boot record was invalid and then automatically fixed it. 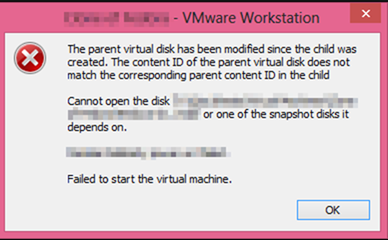 When I rebooted the second time, my VM booted as desired. Thanks a lot… God belts you! help essay writing Edit an dissertation online, writing services. Edit phd for me, writing help, Buy my dissertation for me editing help.